1/4105 scale to match all other BSG fleet ships! 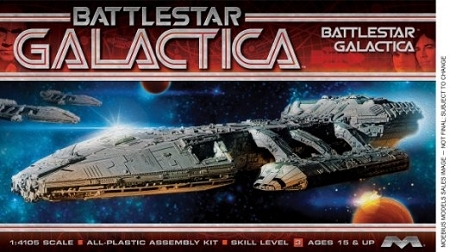 Any Battlestar Galactica Fan will love this kit! 2001 2001 EVA Pod 1/8 Scale Model Kit by Moebius Models. Land of the Giants Snake Diorama 1/48 Scale Model Kit by Doll & Hobby GA COMING SOON!